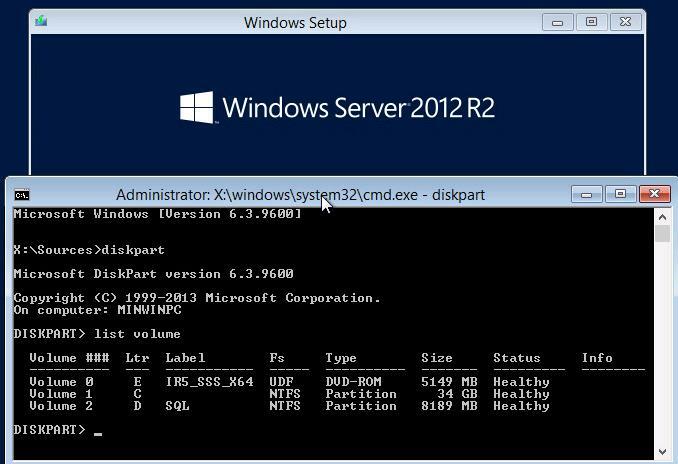 Beginning from Windows 7 / Windows Server 2008 R2, when you install Windows with the default settings to an unformatted disk, apart from the system partition (disk C:\), an additional service partition with the size of 100 MB is created. It is called System Reserved. 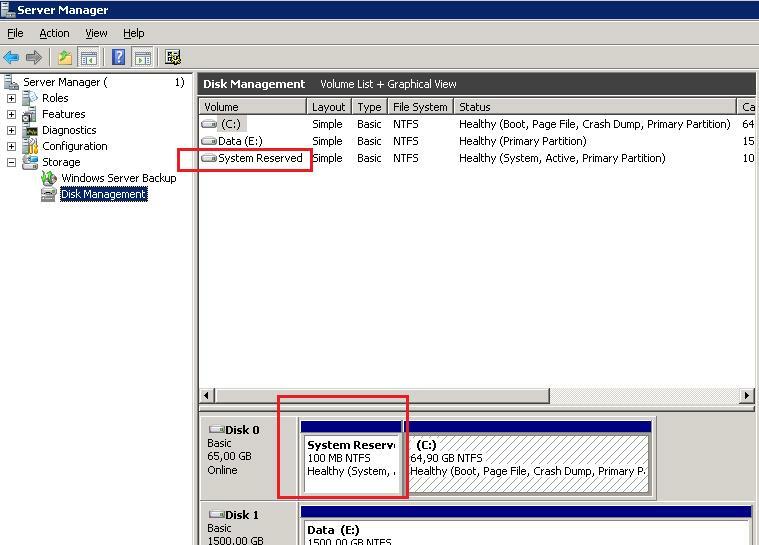 A letter is not assigned to this partition, and most users even doesn’t know anything about this hidden partition. What is System Reserved used to? 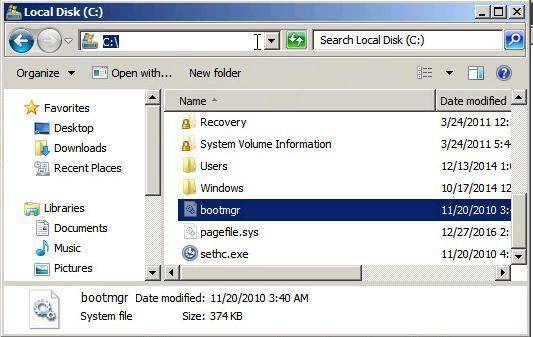 The Boot Configuration Data store (BOOTMGR file) and BitLocker encryption service data (if used) are stored here. Note. 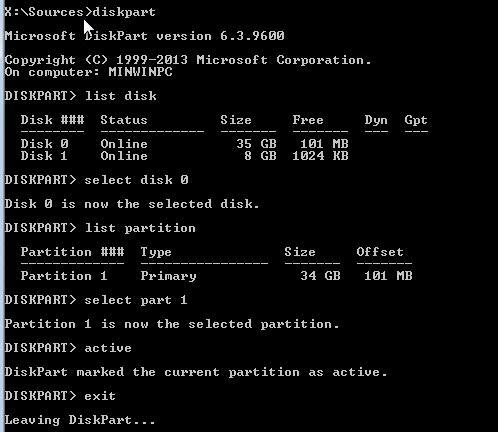 In case if you create a disk partitions before installing Windows, the installer will not create the 100 MB partition, but will place Boot Manager configuration file on the same partition on which Windows is installed. If on some reason System Reserved partition has been deleted, Windows won’t boot with the error “Operating System not found” since the boot partition with the bootloader configuration is missing. 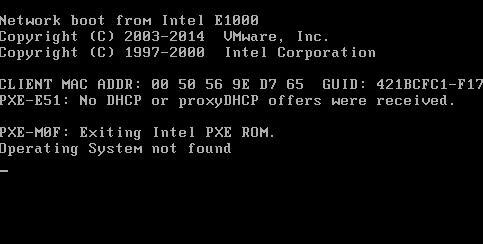 You can ensure that the System Reserved partition is not available if you boot from any installation/boot Windows disk. 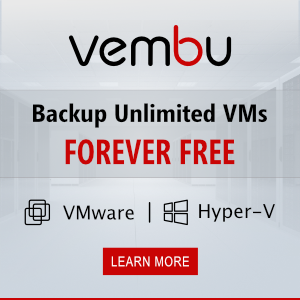 (In our case, it has been Windows Server 2012 R2 installation disk). As you can see, System Reserved is missing, and of course, the system cannot boot from the disk. If successful, the command will return Boot files successfully created. Tip. If the error “Element not found” appears, try to make system partition active using diskpart (described in the next step). The second command will scan all disks and try to find installed Windows copies (Scanning all disk for Windows installations). In our example, the OS has been found in c:\Windows. The system will ask to add these Windows copies to the boot list (Add installation to boot list?). Approve it (Y). Restart your computer and make sure that Windows is booted correctly. Make sure that bootmgr file is present in the root of drive C:\. The link to the EFI Boot Repair article is incorrect. Keep up the good work. Make sure to make a back-up first!! I tried this, but it turned out very badly. My situation was: from a source computer with W7 and 2 partitions (system reserved and OS) I cloned the OS partition to a new hard without the system reserved partition). Then I followed this manual and after the step “bootrec /fixmbr”, the partition became corrupted and diskpart showed a RAW partition (instead of the NTFS partition). I haven’t been able to fix this with other partitioning tools, so my data is gone. Just a warning to anybody, first make a back-up before you try this !